Support: Remote Monitoring,SOS Alarm ,Acceleration Sensor Low Power Alert. 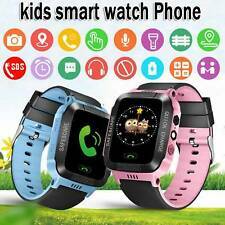 ✔1 x Kids Smart Watch. ✔1 x User Manual. Material: Silicone. Net Weight: 39g. Sleep Monitor. Alarm Clock. 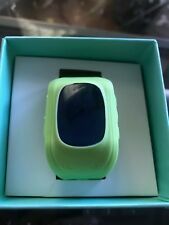 The watch is NOT compatible with any CDMA networks (such as Sprint and Verizon), and it is NOT compatible with AT&T. Speed Talk is the best match for this device in the US. 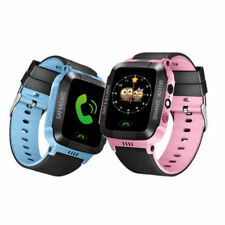 Kids Anti-lost Smart Watch GPS Tracker SOS Call Safe GSM Phone for Android iOS. Shipped with US Mail. The item is new and unused, but exterior package is dented, interior contents are well padded and show no damage. Watch is black and pink. 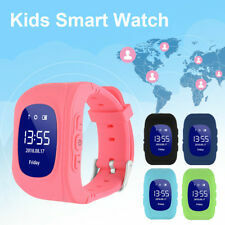 Kids tracker smart watch ..features . Gps, remote control, dial call ,answer call , two way voice messages we chat ,two way calling . 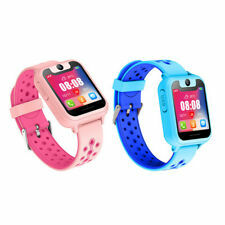 Made out of safe and non toxic materials ..long battery life ..great watch and in new conditions ..
Gizmo Gadget LG-VC200 Verizon Wireless GPS Smart Watch Red Kids Red NEW. Condition is New. Shipped with USPS Priority Mail. Please make sure it is compatible with your Verizon plan before buying! As a perfect gift for yourself and your kids. 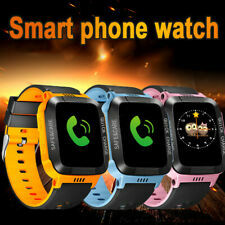 kids smart watch with gps tracking and cellular calling.